Karen Sue Behnke Dooley, beloved wife, mother, and MeMe of Round Top, was welcomed into the Lord’s arms on Monday, December 3, 2018, at Baylor Scott and White Hospital in Brenham at the age of 68. The daughter of Milton and Wella Mae Behnke, Karen was born in Brenham on February 28, 1950. She was baptized into the Christian faith on June 4, 1950 and confirmed on May 17, 1964 at Martin Luther Lutheran Church in Carmine. Karen graduated from Round Top – Carmine High School in 1968 before receiving a bachelor’s degree from Sam Houston State and a master’s degree from Prairie View A&M. Karen was married to Tony Gabe Dooley on June 8, 1974 at Martin Luther Lutheran Church in Carmine. After college, Karen pursued a career in education serving as a teacher and coach in Fort Bend ISD and Round Top – Carmine ISD for 8 years. 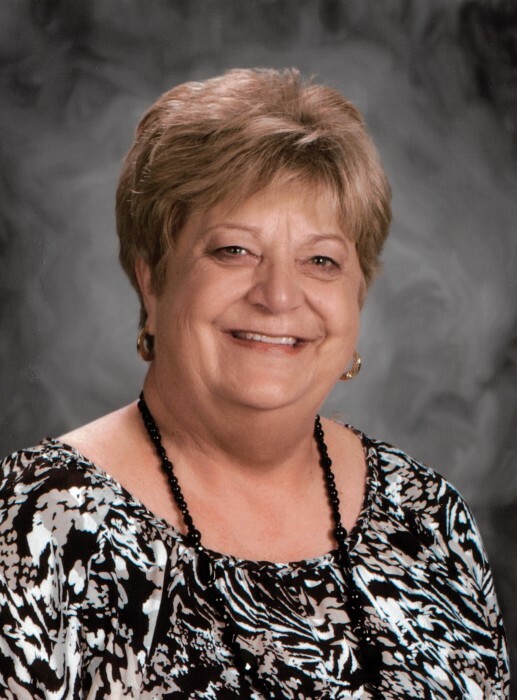 Following her time as a teacher and coach, she served as the guidance counselor for La Grange High School for 34 years. Karen had many loves in her life; she cared deeply for her husband of 44 years, Tony, her sons and daughters-in-law Todd and Amy Dooley and Blake and Amber Dooley and her three grandchildren Brody, Bree, and Summer Dooley. Along with her love of family, Karen was a devoted member of Martin Luther Lutheran Church of Carmine, the Round Top – Carmine Education Foundation, and the Carmine Hall. She enjoyed playing games with her family, vacations to Rockport where she loved family boat rides, and watching sports, especially her beloved Astros. She also enjoyed her time on the pig farm with her family and helping with the numerous show projects over the years including pigs and chickens. Karen had a way of putting everyone before herself. Many friends lovingly remember Karen serving her community by organizing fundraisers, meals, functions and social gatherings. Karen will especially be remembered for her big glowing smile and her jovial demeanor that lit up any room. She celebrated life every single day and lived each day to its fullest. Whenever there was a happy moment, whether big or small, she would be the first one to say that we should get together and celebrate. Karen carried herself in such a positive light; she always had a way of lifting up others when things seemed hard. She treasured her family and friends and enjoyed anytime spent with others. Karen was preceded in death by her father, Milton Fritz Behnke, mother, Wella Mae Hinze Behnke, and father-in-law Gabe Hamilton Dooley Jr.
She is survived by beloved husband, Tony Gabe Dooley, sons and daughter-in-laws Todd Anthony and wife Amy, Blake Hamilton and wife Amber, grandchildren Brody James, Bree Addison, and Summer Quinn, mother-in-law Dolores Davis Dooley, sister and brother-in-law Lana Behnke Aschenbeck and husband Willie, brother and sister-in-law Fredrick Behnke and wife Sharon, brother-in-law and sister-in-law Jim Bob Dooley and wife Karen, sister-in-law and brother-in-law Susan Dooley Logue and husband Chuck, along with many beloved nieces, nephews, great-nieces, great-nephews, and cousins. Visitation will be held from 12:00 pm – 7:00 pm on Friday, December 7, 2018 at Fayette Memorial Funeral Home Chapel, LaGrange, Texas. Family will receive visitors from 5:00 pm – 7:00 pm followed by a Prayer Service at 7:00 pm. Funeral Services will be held at Martin Luther Lutheran Church, Carmine, Texas on Saturday, December 8, 2018 at 10:00 am, interment following funeral service, Carmine City Cemetery, Carmine, Texas. Memorial donations may be made to Martin Luther Lutheran Church, 211 Luther Lane, Carmine, TX 78932 or The Round Top-Carmine Education Foundation, PO Box 85, Round Top, TX 78954.